TEA BENEFIT Basil is often used in tonics for digestion and is known to reduce and even prevent indigestion. Including basil regularly in the diet can even help prevent acid reflux. It helps improve memory, sharpen concentration and get rid of mucus lodged in the lungs. Basil is also known to provide protection against unwanted bacterial growth. This protection is from the oils with flavonoids that exist in the basil, like linalool, cineole, eugenol, myrcene and limonene. Basil can restrict the growth of bacteria like staphylococcus aureus and E.coli. 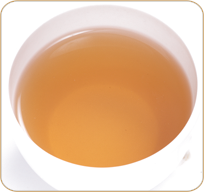 DESCRIPTION The perfect tea after eating a heavy meal, to help reduce gas and aid digestion. Basil has been used for centuries to aid in digestion and has been noted as a good medicinal herb in addition to its aromatic culinary properties. Basil is even used in treating hair loss. It increases blood flow to the roots. Basil helps the hair root, strengthens the hair shaft, provides antioxidants and moisture to the hair follicles.